ROAD TOWN, Tortola, VI –Contractors who have not been paid by government for works done over a period of time have been promised their payments “soon” by Premier and Leader of Government Business, Dr The Honourable D. Orlando Smith. Blame was again thrown at the feet of the previous government as Premier Smith said most of the delayed payments were as a result of unpaid bills left by the previous Virgin Islands Party (VIP) government. “What we will also say is that, in 2011 November when we came to office, the remaining balance was in the region of $40M which meant that people were owed in the region of $40M, which eventually were paid,” added Premier Smith. 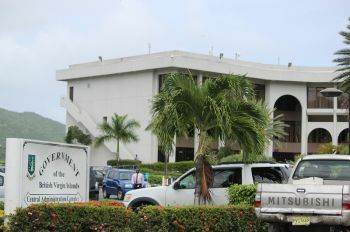 Many contractors have been complaining bitterly about nonpayment for work done, along with claims of being pushed around constantly by staff of the government treasury. “When you call today they tell you come Friday, when you go Friday they tell you next Friday and they just keep pushing you around back and forth,” One businessman had told Virgin Islands News Online. Another had claimed that because of the shabby payment scheme of the government his family life was being put under severe pressure. “We are small businessmen, we depend on our monies to feed our families and this nonsense with this government when it comes to paying us the few dollars putting big pressure on us you know man,” said another. Thank god he will not be Premier pass 2015 if it last that long. Many of the companies which Government owe are caterers who responded to requests from the various departments within the service. They have nothing to do with the VIP. These are peole who can ill afford to have thousands of dollars out on the street. For God's sake give the little man a break. But with POW there I do not expect any better. Trust me, before long he will embarrass you. well well this government must be crazy its the same people votes you all want when the time come pay the people . this is confusing more project but people not being paid wow shame on you guys. The only real question people should be asking themselves should be; is the BVI people deserving on what has happened and is still happening to them under this government?. LOL I just have to laugh. Look around the place it looks like a damn dump but somehow we owe people over $40mil and now its down to $12mil. WTF did they do for that money? Someone please tell me this is a frigging joke.